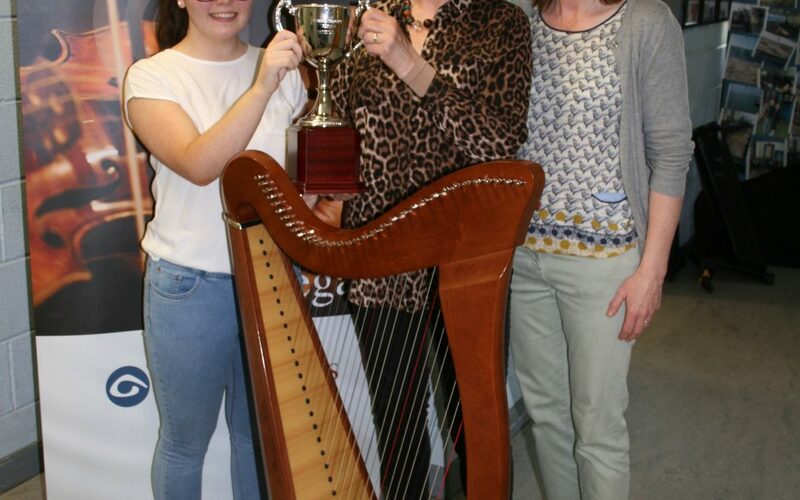 Young harpers from Inishowen won every single category of the U18 Harp Competitions at Fleadh Cheoil Dhun na nGall in Moville at the weekend. Fleadh organiser Clodagh Warnock says its proof that the Harp is experiencing a real-life revival in the peninsula. By 2010, there were only one or two harpers left in Inishowen, says Clodagh, who is also the director of Moville local traditional music school, Ceolan. Clodagh was one of the leading organisers of the 2018 Fleadh Cheoil Dhun na nGall, which was held in Moville for the first time ever this year. She says that young harpers were honoured in a special way in the Fleadh this year, thanks to sponsorship from local bakery, Daniel Doherty’s Bakery.